Those of you who have followed my forum postings over the last couple years or my videos of the last several months, are probably familiar with my “Journal of a Rusher” series. I took a brand spankin’ new game to TH7 in under 30 days then jumped it up from there. Later, I did a new series called the “Phoenix Abyss Hyper-Rush Project” where I did much the same with a brand new Builder Base instance. 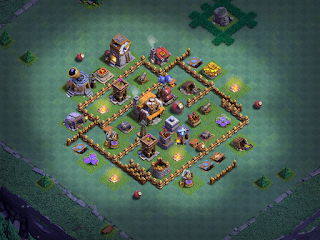 At the moment, TH11 is our top level on the Home Village (HV) and SuperCell just released BH8 to the Builder Base (BB). I think that now would be a perfect time to start another new game and rush both the HV and BB to top level as quickly as possible. To kick things off, I dropped $50 in seed money on this project. One could absolutely run it F2P, but, in this case, I wanted to get the game into Clan Games and the Builder Base right away - you cannot access the Builder Base until TH4, and Clan Games stays locked until TH6. So…that meant some quick gemming, but really not too much. Every new HV game I’ve played, I’ve always bought enough gems to get the remaining 3 Builders because having all 5 Builders is just such a boon to your progress on the HV. SuperCell introduced the new “Builder Pack” though, which gives you the Builder *AND* gems for the same amount. Needless to say, I jumped on those. I also buy all level-up packs which are also dirt cheap at the lower TH levels. Finally, I discovered I was just shy of having enough gems to finish off the TH6 upgrade timer so I picked up a $5 gem pack. Never before have we had access to SO many methods of gaining resources in the game. Clan Games alone is a dream for rushers - without warring and with limited raiding, you can easily gain significant sums of resources and use Magic Items to rapidly progress through the game, both on the HV and the BB. This was my primary motivation for taking the game to TH6 so quickly. Everything new is built right away. Level-up bonus packs and Builder Packs will be purchased but no other items/gems will be bought. Only key troops will be upgraded - on the BB, that means ground troops (Raged Barbarians, Bombers) and on the HV we’ll start with Barbarians/Archers then incorporate Goblins. Building upgrade priority will be whatever is needed to upgrade the TH/BH - that’s usually storages - and offense (Barracks/Lab). HV only - All builders will be bought as quickly as possible, including with gems if/when available. HV only - The objective will be to keep all builders going non-stop, so once key upgrades complete, lowest cost will determine next upgrades. Since the HV has up to 5 builders (as opposed to the 1 builder we get on the BB), we need a plan for what to do with all those builders to keep them busy. The simplest answer is to just put them on whatever the lowest cost upgrade is (using the Builder Suggestions) AFTER they finish off the upgrades/builds needed to progress to the next TH level. Troop upgrades will be dictated strictly by what is needed to be successful at gathering loot. On the BB, that means maxing at least one attack strategy at every BH level; on the HV, it’s pretty much the same and the focus will be on BArch/GiBArch. Heroes will be purchased as soon as they come available and upgraded as required or time permits. Of course, for the time being, this is not intended to be a war account. It will be part of Divergent Void, but the primary goal is to go from zero to top level in as short a time as is possible. I will track much of the progress of both games on my blog at blog.clashmaniac.com and there will be regular videos showing the games, discussing strategy, base design, and so forth. I’ll also have a thread going in the Clash of Clans, General/Builder Base Forum as well. Feel free to join in on the experience! It is now March 16th, 2018. Let the fun begin!